New Year’s Eve in Times Square? Meh. The real action is in Tallapoosa, Georgia. That’s where Bud and Jackie Jones, career taxidermists, live. They helped establish a completely different kind of New Year’s Eve tradition in their small town. 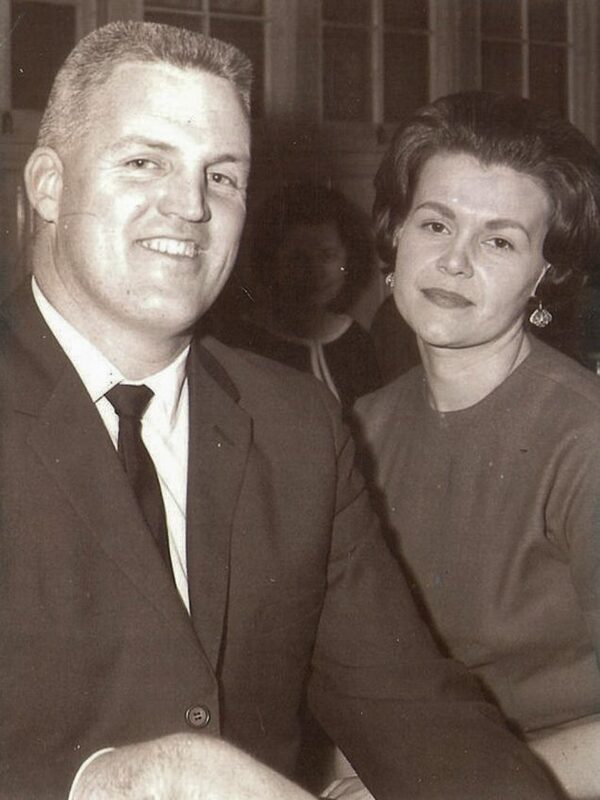 Bud and Jackie came to StoryCorps recently to share the love story that helped launch it all. 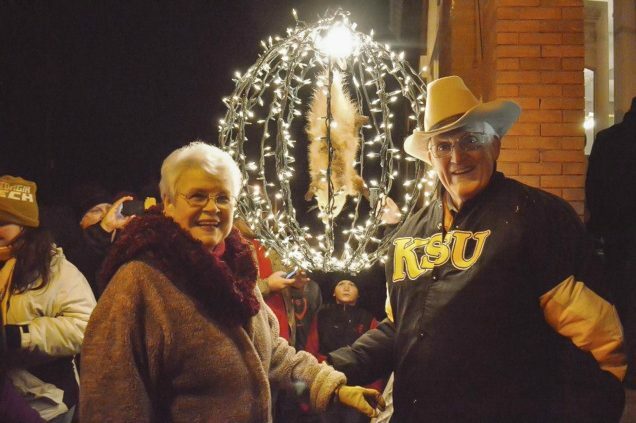 Since the Tallapoosa Possum Drop began in the late 1990s, the event has grown from about 40 people to over 7,000 in attendance. That’s more than twice the population of Tallapoosa itself. Top photo: Bud and Jackie Jones pose after their StoryCorps interview in Tallapoosa, GA in September 2018. By Kelly Moffitt for StoryCorps. Middle photo: Bud and Jackie Jones pose together in 1963. Courtesy Bud Jones. Bottom photo: Bud and Jackie Jones pose near “Spencer” at the Possum Drop in Tallapoosa, GA in 2014. Courtesy Bud Jones. Originally aired December 28, 2018, on NPR’s Morning Edition. Bud Jones (BJ): What do you remember about our first date? Jackie Jones (JJ): Well, I got in the car and you said, ’Now, don’t get excited, Jackie, but my pet snake is loose in this car,’ and I’m not a snake person. BJ: But you toughed it out, didn’t you? JJ: I toughed it out. You were a hot number for me. We dated for two years, and then we decided to elope. BJ: I remember you didn’t want your mother and daddy to know where we going, so you threw your clothes out the window. BJ: And just as we were getting ready to leave, Ivey Pope called and said he had killed a strange bird in his lake and wanted me to come and look at it. So we went over to Ivey Pope’s lake and he had just killed a duck. JJ: And by then it was night and we had to go to the judge’s house and when we got there, he was drunk. BJ: Well, he wasn’t exactly drunk, he was just kind of wobbling a little bit. JJ: He was feeling real good. BJ: Yeah, he was feeling good. JJ: Well I must have been crazy in love to go through this. We seldom ever have an argument, but if it is, it’s about something like an elephant’s eye. But I’ll say right here that you do know a lot. BJ: Well, I’ll be. I need to record that. JJ: Tell me the story about Spencer. BJ: There was this big possum on the side of the road. He wasn’t hurt at all, except he was dead. So, I said, ’Well, he’ll make a nice mount.’ So I got out and mounted him hanging by his tail, and I never thought Spencer would be a celebrity. BJ: Yeah. And they’ll knock you down to get over there and get a picture of Spencer. JJ: People give you more credit for Spencer than anything else. BJ: Well let me tell you. A man or a woman is blessed if they can go to work every morning and enjoy it. And I’m just really happy that I’ve had partner all of these years that I wouldn’t trade for anybody. JJ: Thank you. Life has not been dull with you, Bud. BJ: Well I know that, but when you got in the car that night, you should have known. JJ: I know I did. That should have been my first clue as to what my life was going to be like. BJ: Thank you, Jackie, and I love you. JJ: I love you most.